4 years ago, Alexander Danilov, who started a company called Shopster in Russia, received a grant from Singapore for his company. On top of receiving the monetary benefits, Alex flew in to Singapore to connect with mentors to get feedback on his idea. Back then, Shopster was a mobile location based shopping service and marketing platform for retailers, and the idea seemed ripe for a country like Singapore. In a highly competitive business world, network is key—knowing the right people can open doors and new opportunities for you. This was what Alex realised when he came to Singapore, and as luck would have it, he had the chance to meet Michael. “I spoke to Michael, who was a mentor at Ruvento Ventures. He gave me a lot of feedback, and provided huge support, and as we continued to connect and closely work together throughout the following months, we realised that we not only share the similar business vision, but also want to solve similar problems,” Alex told Vulcan Post. 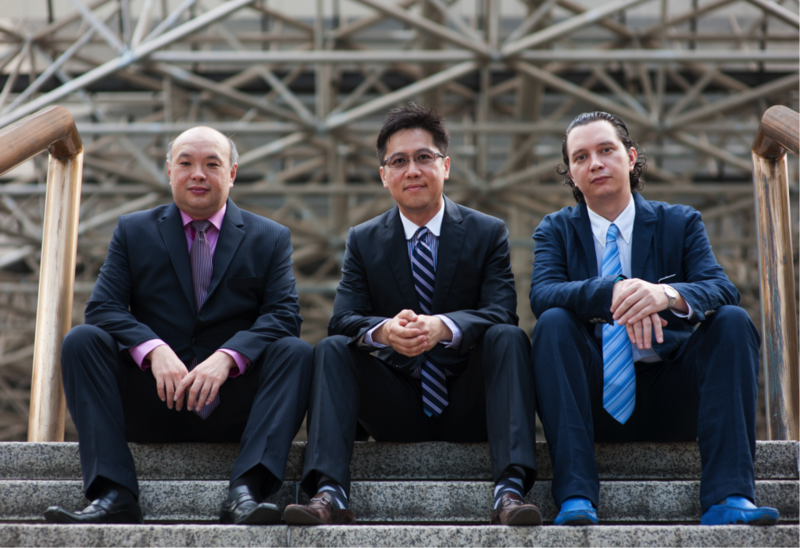 At that point, Michael was the President Asia of Phicomm, and had more than 18 years of consulting experience with businesses throughout Asia. He was also actively mentoring Shopster. While working on Shopster, both Michael and Alex found a bigger problem that they are looking to solve—a problem that perhaps a lot of Singaporeans are facing as well—the lack of an effective and efficient delivery service. From there, Alex and Michael became full-time partners in running Zap Delivery. 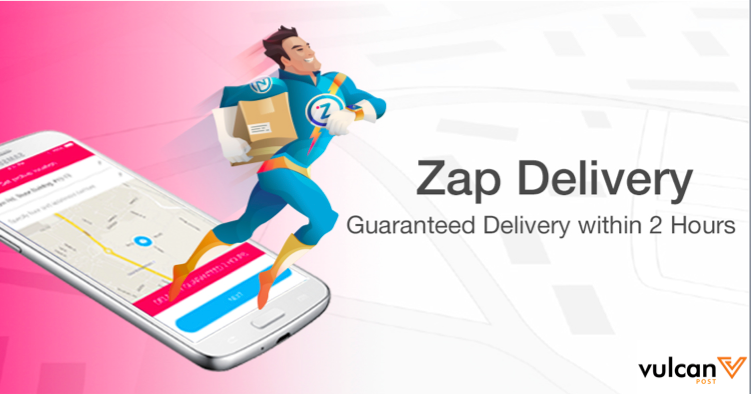 As we have previously noted, Zap Delivery, is a newly launched on-demand express courier service, which promises to courier your items anywhere in Singapore within 2 hours. “The idea came from our own experience—there was once, my wife locked herself out of the house, and she wanted to get a locksmith to unlock the door for her. We realised that it would be way cheaper to get someone to pick up the house key from me and get it delivered to her, but the solution was not available then,” Alex shared with Vulcan Post. After almost one year of research, preparations, and making sure that there are available couriers to help customers island-wide with their on-demand courier requests, Zap Delivery was launched in December 2015 with a network of more than 800 courier partners, all of whom passed stringent qualification and background checks. 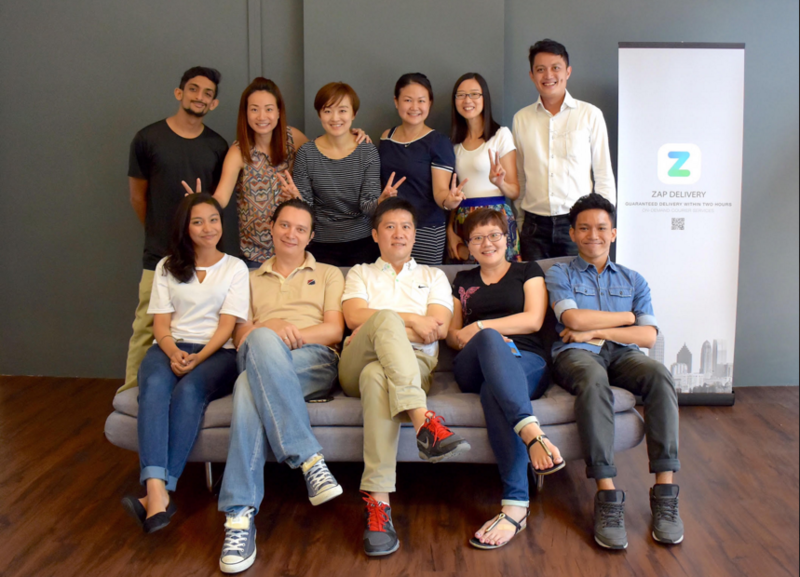 “With this app, we hope to transform and disrupt the way the traditional logistics industry works,” said Michael Tan, co-founder and chief executive officer of Zap Delivery. A typical courier request works like this: you launch the app, key in your pick up address, key in your destination, and a courier will be on its way to pick up any item and drop it off for you. The app also calculates the delivery cost as soon as the required details are entered, before payment confirmation. For now, both Alex and Michael are eyeing the multi million dollar courier delivery service in Singapore, all thanks to the rise of e-commerce and the on-demand economy. Plus the logistics sector is ripe for a disruption too. According to the World Bank’s Logistics Performance Index, Singapore is Asia’s top performer when it comes to global freight forwarding and express carriers. To tap on this multi million dollar industry boom, Michael takes charge of the company’s growth strategy and investor relations, while Alex is in charge of the operations and execution of the strategy. On a typical day, Michael and Alex keep track of customers’ and couriers’ satisfaction level, and that the company is hitting its growth target. To stand out in technology superiority, Zap Delivery also features a patent-pending, authentication technology, which replaces the arbitrary signatures that traditional couriers usually use to confirm delivery receipts. This process ensures that items arrive not only safely, but also to the rightful recipients. Additionally, the app features real-time tracking that allows senders to know the exact location of their items, every step of the way. Further down the road, Zap Delivery has a few new ideas up their sleeves which they’ve chosen not to reveal for now, teasing us that it will truly be groundbreaking. How groundbreaking would it be? We will be keeping you updated on that. In the meantime, if you’d like to get anything delivered for or to you, do check out Zap Delivery.